Home » Blog » What are the penalties if you go for illegal sale or possession of pokies gaming machines in NSW? Do you think selling or buying pokies is simple process? No. It is not. You need to obtain permission as well as have a license to acquire pokies machines both for commercial as well as personal use. The Liquor & Gaming NSW (L&GNSW) has recently identified a number of online sales of used gaming machines being promoted as ‘man cave’ furniture, prompting concerns about their potential use for illegal gambling. NSW residents are warned that the Gaming Machines Act 2001 imposes serious penalties, including fines and imprisonment, for illegal possession or sale of gaming machines. 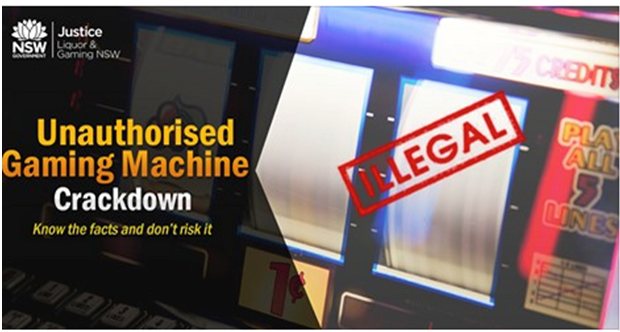 It is against the law to be in possession of a poker gaming machine in NSW unless properly authorised, with maximum potential penalties of up to $11,000 and or 12 months imprisonment applying. 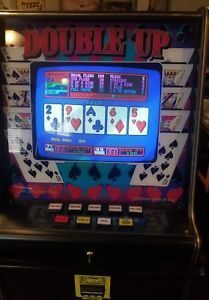 The Liquor & Gaming NSW warns members of the public are advised not to purchase gaming machines if found advertised. What is Liquor & Gaming NSW? The Independent Liquor and Gaming Authority was previously called the Casino Liquor and Gaming Control Authority. Laws giving effect to the name change were passed by NSW Parliament in November 2011 and came into effect on 1 March 2012. The change is aimed at more accurately reflecting the authority’s role as an independent decision maker and its primary duties in licensing the liquor and gaming industries in NSW. Its functions and powers remain the same as the previously named authority. Containing and controlling the potential of a casino to cause harm to the public interest and to individuals and families. The authority is also responsible for liquor licensing to regulate and control the sale, supply and consumption of liquor in a way that is consistent with the expectations, needs and aspirations of the community; to facilitate the balanced development, in the public interest, of the liquor industry, through a flexible and practical regulatory system with minimal formality and technicality; to contribute to the responsible development of related industries such as the live music, entertainment, tourism and hospitality industries. The authority is also responsible for gaming machine regulation and to minimise harm associated with the misuse and abuse of gambling activities. It also works to foster responsible conduct in relation to gambling and to facilitate the balanced development, in the public interest, of the gaming industry. Also to ensure the integrity of the gaming industry and to provide for an on-going reduction in the number of gaming machines in the State by means of the tradable gaming machine entitlement scheme. 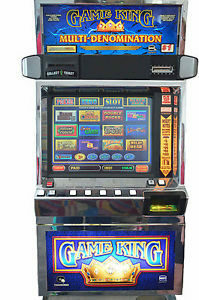 Suspect gaming machine sales can be reported for investigation on 1300 024 720 or by using online complaints form. Read more about pokies problem in Sydney and the recent penalties even for online gaming operators. 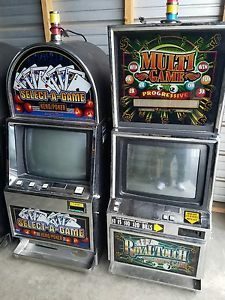 Previous: What are Bally pokies machines and where to buy them? Next: What are Konami Advantage pokies machines and where to buy them?